The red, red flowers, the green, green trees, the blue blue sky, the white, white clouds, what a beautiful countryside scenery in the end of the spring! This impression was created by the founder of French Impressionist painting--- Claude Oscar Monet, who was also the pioneer of the movement’s philosophy of expressing one’s preceptions before nature, particularly in applying to plein-air landscape painting. 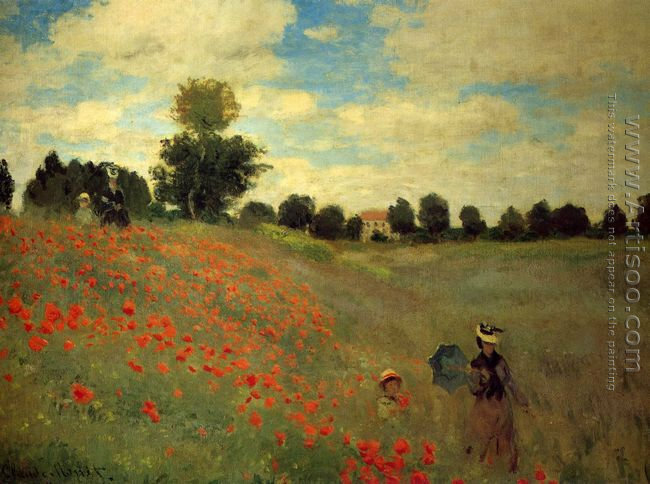 Poppies at Argenteuil was painted in 1873 when Monet began to created the best paintings of the 19th century after the death of his wife Camille. Monet painted several groups of landscapes and seascaps in order to capture the changing of light and the passing of the seasons. In this picture, two madams, accompanied with their own child, wandering in the sea of poppy flowers in a sunny day of spring. The madam with a sun umbrella in her hand, and the child with red poppies in his hands, got through the sea of red poppy flowers and came to us where were far from their houses. At the upper of the slope, the other madam and her child were also getting through this wonderful fields. These poppies are flourishing between April and May, and they like where there is enough sunshine. The poppy flowers are big and gorgeous. The flowers has various colors. They are red, white, yellow, pink and purple. Here is the sea of red poppies flowers.In the distance, there was a house and some trees. That must be the village of the famer of poppies. How harmonious it is! 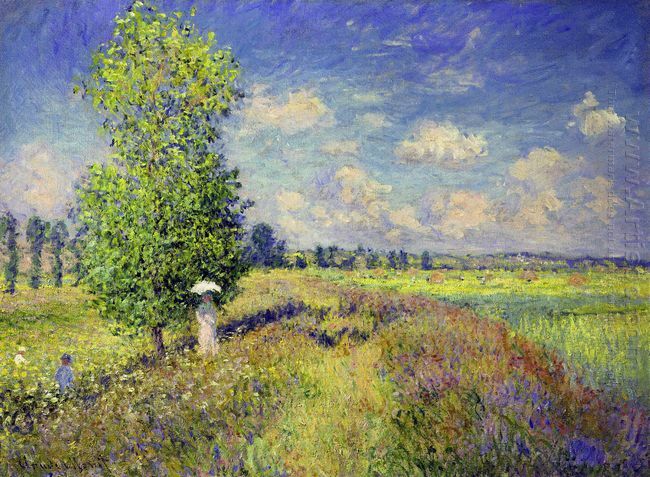 That’s a picture of Monet’s missing of his wife, a photo of his memories, a sigh of hope. 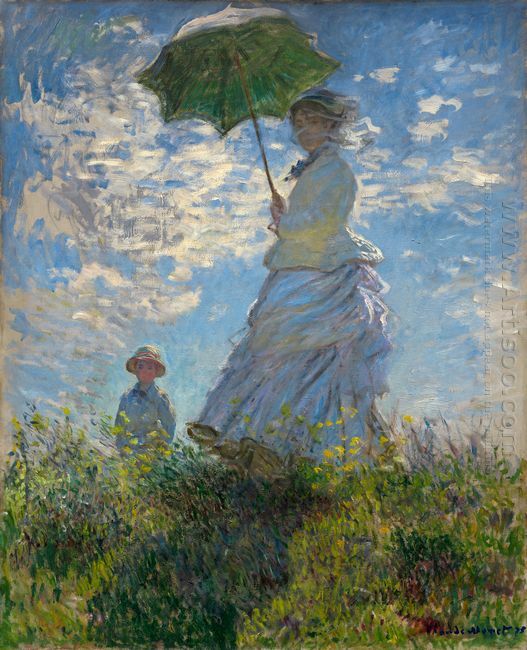 As one of the celebrations of the 50th anniversary of diplomatic relations between China and France, The Master ..
Woman with a Parasol—Madame Monet and Her son belongs to a series Monet paintings during 1875 to 1876. .. 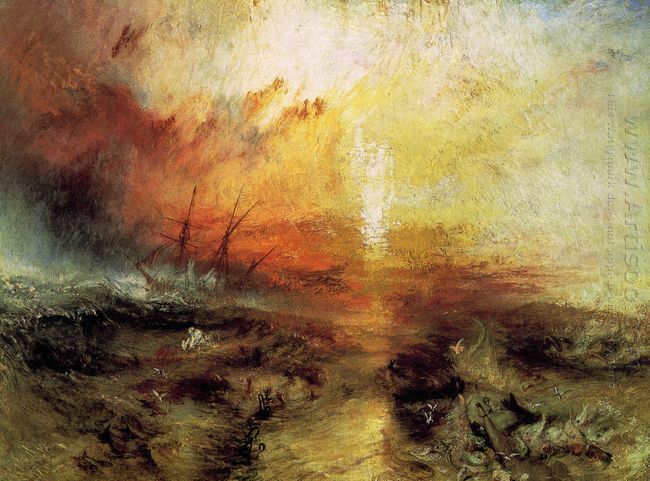 This entry was posted in Oil Painting and tagged Claude Oscar Monet, Monet, Monet Oil Paintings, Monet Paintings. Bookmark the permalink.